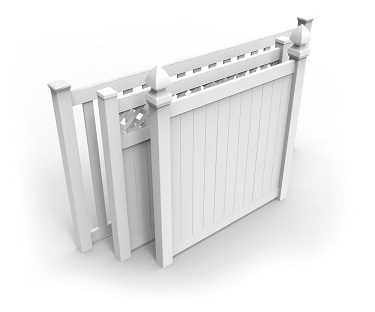 Select the style of your fence by clicking a product above. Once in the product section just select all the parts you will need. Just Complete your information and submit your delivery options. SUBSTANTIAL DISCOUNTS BASED ON QUANTITY! 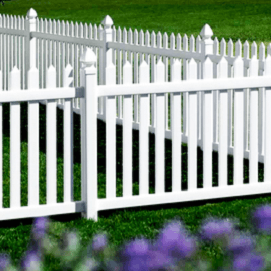 The fences lined up in front of your neighborhood Home Center offer a low grade fence at a premium price. We’ve all learned from the phrase “you get what you pay for,” and this is one of those instances. Wholesale Vinyl Fencing is designed, manufactured and engineered to provide customers the highest quality fencing today. Our materials exceed that of our competitors, composed of rigid polyvinyl chloride (PVC). Its UV inhibitors and additives make it impervious to the elements, yet flexible enough to resist cracking. 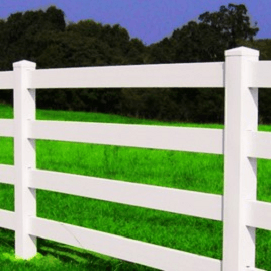 We offer the highest quality 2 rail, 3 rail and 4 rail vinyl fence at the lowest prices online! 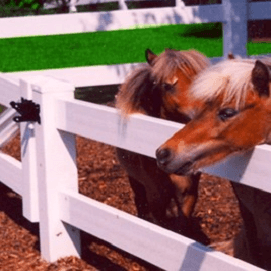 Our vinyl horse fence is commercial grade, durable and guaranteed to withstand the elements. At Wholesale vinyl fencing we know you will be pleased with your horse fencing for years to come! We just experienced a price increase, we are in the process of updating the website. Prices shown will not be accurate but we are trying hard to match current pricing. 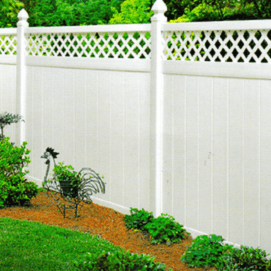 Save on your new vinyl fence by purchasing at wholesale prices. View a list of our locations today. We have several distributing warehouses in almost every state. Benefit from our low shipping prices at ONLY $75! Look through our selection of wholesale vinyl fencing and you can see that we have the best bargains. Browse through our PVC Vinyl fences, as well as our rail vinyl fencing to find options best suited to your needs. 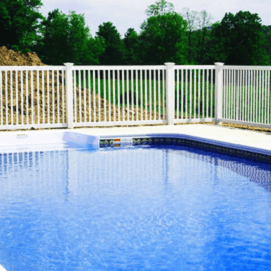 We excel in providing superior quality vinyl fencing to our customers. 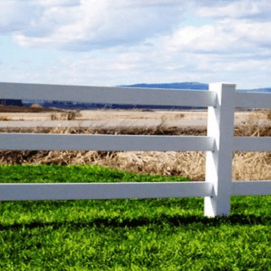 Compare prices, explore our how to videos, browse our gallery and discover which wholesale vinyl fence is perfect for your yard, farm, or ranch. A new fence is a great investment! Fences provide essential security and privacy while significantly enhancing your property’s value and architectural appeal. Contact your homeowners or neighborhood association and local municipality to learn the rules you and your contractor must work within, including required permits and size / style of fence permitted. Research and determine your exact property lines before installation. Are there setback rules from the sidewalk that you need to follow? Don’t assume anything if you want to avoid costly rework and even possible litigation! Get professional help to make sure your property boundaries are correctly demarcated. By all means, let your neighbors know about your fencing plans. Avoid blocking their views if at all possible. A shared fence can be built in cooperation with your neighbors, but such agreements need to be in writing. What purpose(s) will your fence serve? If just to contain a dog, a chain link fence may do. If you need privacy and security, then you’ll want something tall and solid. What materials will work best for your project needs? Wood fences will lose their appeal as a vinyl fence will not and vinyl fences are lower in maintenance. Pick the product that best suits your taste and overall needs in a fence. If you’re working with a limited budget then you have come to the right place. Wholesale Vinyl Fencing offers commercial grade vinyl at residential vinyl cost. To enhance safety and convenience, plan at least two paths into a fenced area. One should be large enough to accommodate outdoor equipment like your lawn mower and large garbage cans. Define your entrances with pathways and decorative elements such as a gate scroll so they can be easily located. When in doubt, solicit the advice of a landscape architect or professional fencing contractor to optimize your fence’s decorative appeal, including color selection, complementary landscaping and other elements. Our high-performance Wholesale Vinyl Fencing systems are recognized for their long-lasting durability and beautiful design. 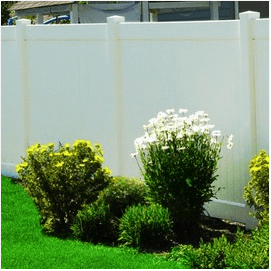 The perfect blend of elegance, strength and performance, Wholesale Vinyl Fencing provides the long-lasting beauty and charm that is only found in professionally manufactured vinyl fence systems. Available in Picket, Privacy, Semi-Privacy and Ranch Rail options, Wholesale Vinyl Fencing has the perfect design to complement your style and enhance the value of your home, property and investment. Ask if the contractor belongs to a national or local trade association such as the American Fence Association (AFA). AFA members abide by a strict code of ethics governing quality workmanship and business practices. However, this does not imply that non-members are not reputable companies. Find out if the contractor is affiliated with a nationally known manufacturer. Wholesale Vinyl Fencing has strict standards regarding professionalism and product knowledge. Verify credentials. Before making your choice, call the Better Business Bureau to make sure the contractor is reputable and there are no complaints against the company. Check to see if the company holds liability and worker’s compensation insurance. The contractor should be able to supply you with the proper forms. Request a list of references. Former customers are an excellent source of information. Call these individuals and ask if they were pleased with the contractors work. Be prepared for an on-site visit. A good fence contractor should inspect the installation site personally in order to evaluate your overall needs. Beware of a dealer that simply takes information over the phone. When using Wholesale Vinyl you can rest assured that your product is meeting the best standards of vinyl Manufacturing. Ask about warranties. Material warranties are provided by the manufacturer and information can be found on our Warranty page and workmanship is guaranteed by the contractor. The warranty terms will vary from product to product, so be sure to read all the fine print and make sure you understand it. Get a cost estimate and make sure it includes all the services and products you have requested. When reviewing the cost estimates from different contractors, be sure they are based on the same service and quality of products. Be wary of a contractor who offers an unrealistically low price: it may mean they plan to cut corners or they do not fully understand all of the elements of the project. Be sure to get everything in writing. The estimate and/or contract should be completely explained in a written format and signed by the contractor. Ask questions. You should feel free to ask for details about the company, the installation and the fence products themselves. The professional contractor knows that his reputation depends on customer satisfaction both during and after installation. One question we get asked on a daily basis is, why should we buy your product over a prefab panel from my local big box store? Our product is commercial grade at residential cost! When you go to Home Depot or Lowes you will see a very low advertised price on the fence panel which will lead you to believe that is the cost of the fence. Do your homework when comparing prices. Once you add up the cost of the vinyl post, wood post (their vinyl post are too thin and require a wood post) brackets, caps, screws, glue, you will find our product is actually cheaper! We have 44 locations across the nation. If you need to replace your product you can usually drive to one of our facilities and have it replaced. You will not have to wait for long shipping delays and expensive freight. You can rest assured that your fence will not be replaced or out dated because we offer the same great product yesterday today and tomorrow. Our product has been manufactured for 26 years and counting! Our material is of a much higher quality. There are no brackets to break or screws to strip or loosen and lose, no wood to put inside the posts for strength, no cheap shortcuts in engineering and construction. Our posts are pre-routed and the rails easily slide into the posts and lock into place. All our privacy styles include galvanized steel inserts in the rails so the fences will never sag, rot or warp. It’s all made right here in the U.S.A. and not in China or Russia so it’s providing American jobs and here when you need it. Home Depot and Lowe’s on the other hand usually buy from whoever has the lowest price. Fantastic Warranty and can be transferred. Your transferrable LIFETIME warranty is backed by HomeLand Vinyl whose been manufacturing for 26 years. If there ever is a problem, they’ll be there to step up to the plate. In almost 20 years of personal experience in dealing with them, they have ALWAYS performed better than agreed. We have never had to step in (as we’ve had to with other manufacturers) to make it right for the customer. Wholesale Prices, Best Prices Online. 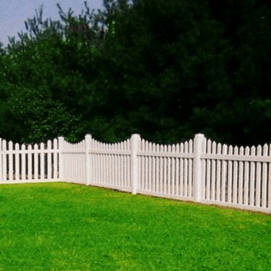 We do not have a huge line up of vinyl fence because we focus on quality and price, what we sell is what sells best nationwide and we try to make sure we have the best prices online. NO FREIGHT! Because we have 44 locations around the USA, in most cases you can pick up your material and save on long delivery times and expensive freight cost. This is a huge advantage using Wholesale Vinyl Fencing as your Vinyl Fence Dealer compared to our other online competitors. Another advantage of a will call pickup is your material will not get damaged from shipping companies meaning you can get straight to work without the headache.